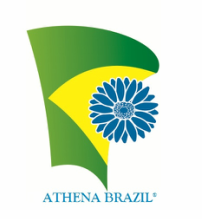 Athena Brazil is family owned, operated and managed and is one of the largest independent suppliers in South America, with weekly, year-round shipments to the United States, Europe and Asia. Additionally, Athena Brazil also offers contract-growing services. Please contact Athena Brazil at 855.272.9450 if you would like to discuss a personalized contract-growing program. Maintaining our dedication to providing the highest quality unrooted cuttings in the market today and by doing so providing exceptional customer service and value. To secure customer confidence and satisfaction by perfecting production procedures that maximize cutting quality. To ensure that planning and production focus solely on the quality of products and services. To remain committed to the goal of continuous improvement in all processes. To ensure that human resource policies and procedures are developed with the goal of exceptionally trained high-quality employees and as a result, exceptional products.